Irish Shillelagh Walking Stick BUY Irish Walking Stick, Blackthorn Walking Stick, Irish Blackthorn, Shillelagh Cane, Irish Cane, Blackthorn Cane, 78855, Shillelagh Cane. Shillelagh is an Irish Walking Stick made from blackthorn. 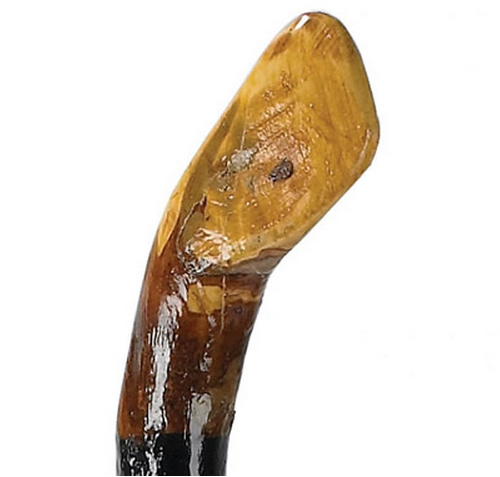 The Shillelagh Walking Stick is a genuine walking cane handmade in Ireland. The name “Shillelagh” is derived from the Irish town that is known as the traditional source of the Shillelagh Walking Cane from centuries ago. This Blackthorn Walking Cane comes from the Prunus spinosa wood species that is also known as blackthorn. The Blackthorn Walking Sticks provide a superior lightweight hardwood that is easier to handle. Many Walking Sticks marketed as Blackthorn Walking Sticks are actually a fusion of a blackthorn handle with a hazel shaft. The Genuine Shillelagh; however, is an Irish Blackthorn Cane harvested from a blackthorn stick with a knobbed handle that is sanded smooth. 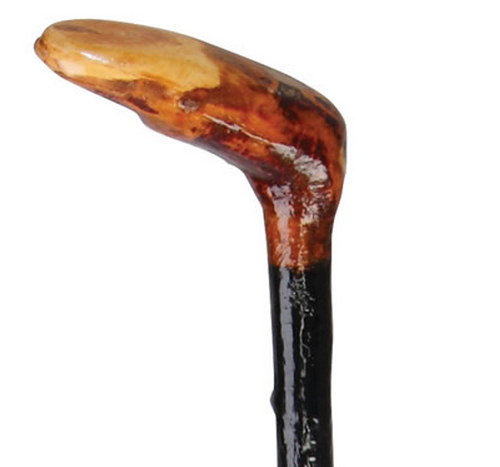 The shaft of the Irish Shillelagh Walking Stick is painted with black enamel and lacquered with a high-gloss finish. These Shillelagh Walking sticks are each individually unique. Irish Shillelagh Walking Stick is believed to have evolved to its present form from its shorter fighting stick predecessor. Today, the Shillelagh is used by farmers for herding sheep or cattle, or simply as walking companions. Many Shillelagh Walking Sticks are considered family heirlooms. Every Shillelagh is finished with a copper tip. Handmade in Ireland and imported to the USA. Each Shillelagh walking stick is unique. 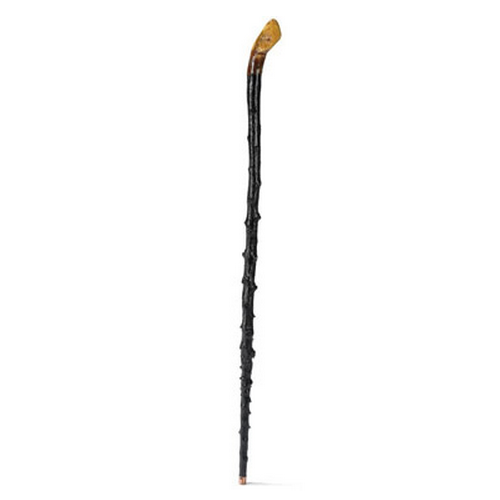 Irish Shillelagh Blackthorn Walking Stick Product Number: 78855. Length: 36 to 39 Inch. Cane Materials: Blackthorn with black enamel and lacquer finish. Presented in a green canvass bag. How to you determine the appropriate length? The best way to determine the appropriate length is to measure from the floor to the top of the hip joint. That measurement should help you determine which cane size is right for you. Arrived promptly. Unique and sturdy product. Lightweight and strong, these walking sticks have history. Walks around the block are pleasurable with my blackthorn cane.